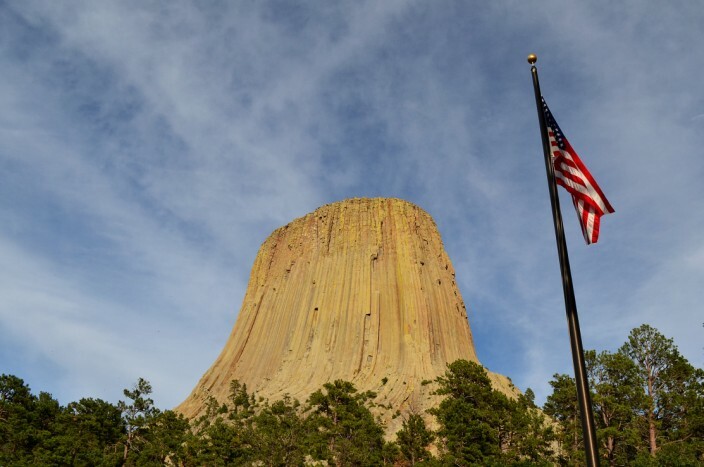 Devils Tower was the first declared National Monument, being so designated by Theodore Roosevelt on September 24, 1906. Technically it’s an igneous intrusion of rock formed millions of years ago. Despite lots of attention and studies throughout the years, geologists still can’t completely agree on exactly how it was formed or whether it’s a volcanic remnant or not. To your average non-geologist layman, none of this really matters too much. 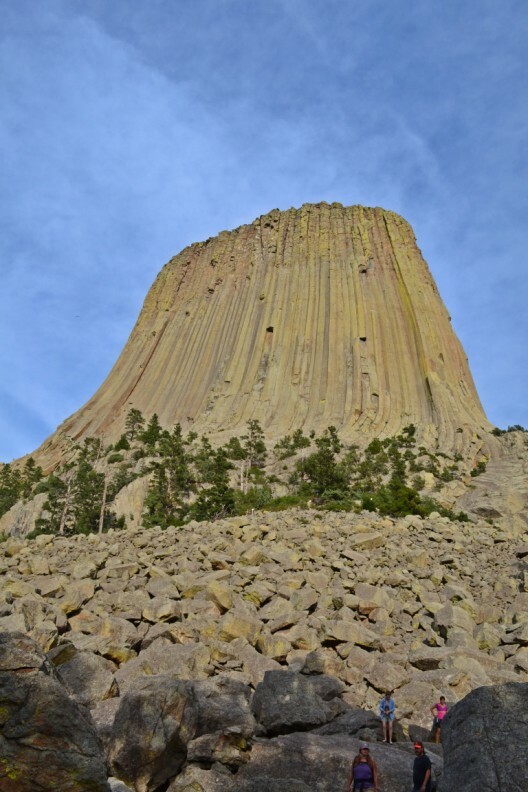 Devils Tower is just a cool looking gigantic pile of greenish-gray columnar rock. 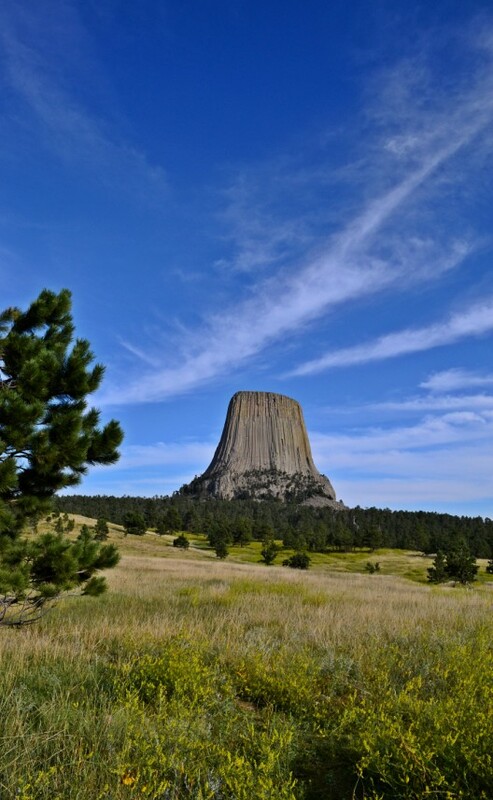 Devils Tower dominates the local landscape as it erupts some 1,200 feet above the surrounding plains of northeast Wyoming, and can be seen as a small bump on the horizon from as far as forty miles away. 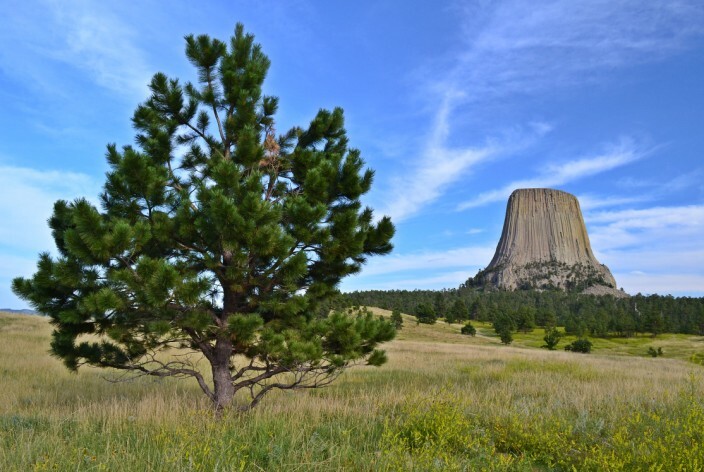 The name Devils Tower originated in 1875 during an expedition led by Col. Richard Irving Dodge when someone misinterpreted the Indian name to mean Bad God’s Tower, which then became Devil’s Tower. 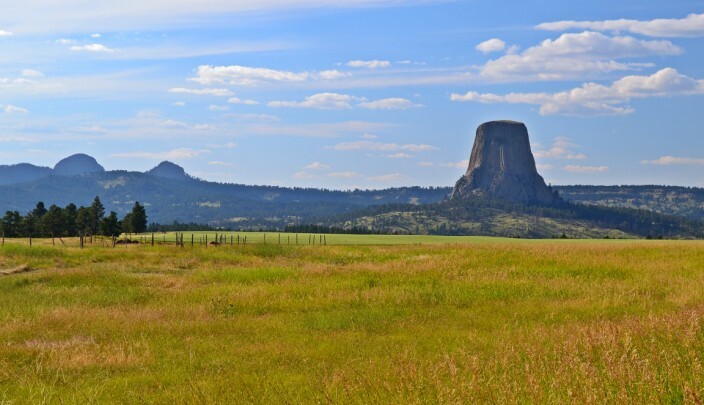 The tower was a sacred place for many of the Plains Indian tribes including the Lakota, Cheyenne, Crow, Shoshone, Kiowa and more, and each of them had their own name for it. Strangely enough, all of the Indian names involved bears: Bear’s House, Bear’s Lair, Home of Bears, Bear’s Lodge, Bear’s Lodge Butte, Grizzly Bear Lodge…well, you get the idea. They thought bears lived there. The tower is a mecca for rock climbers, who come from around the world to conquer the mountain’s sheer rock face and stand on its summit, with hundreds of ascents accomplished each year. The tower was first summited successfully on July 4, 1893 by two local ranchers, William Rogers and Willard Ripley. 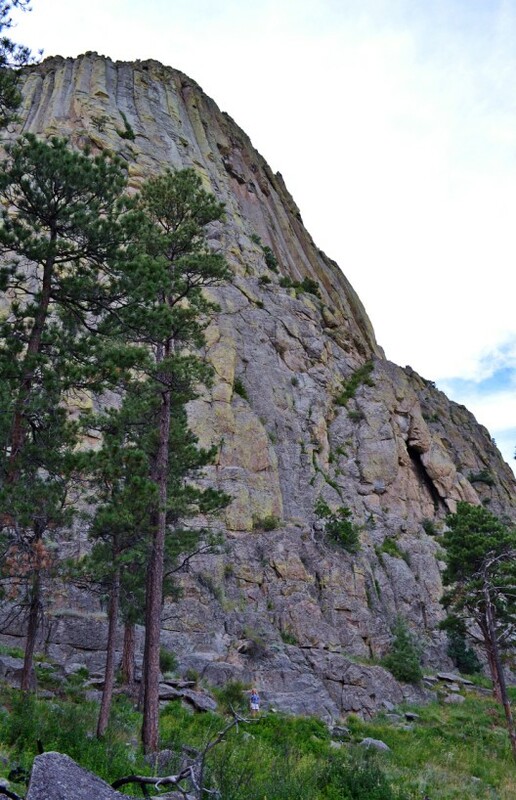 They completed this first ascent by constructing a ladder of wooden pegs driven into cracks in the rock face, a few of which are still visible all these years later. Today, there are various routes used to scale the tower by climbers utilizing every type of equipment and technique known to man, though I don’t think anyone is still hauling wooden ladders up the mountain. 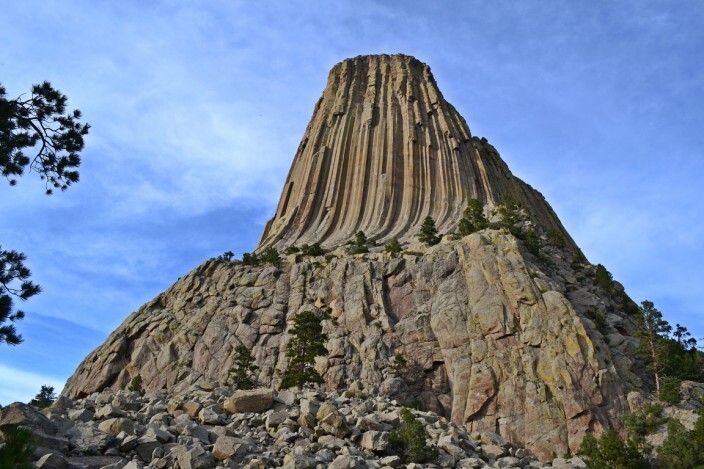 There was some controversy years ago when several of the Indian tribes claimed it was a desecration of their sacred place for climbers to be scrambling all over the tower. They went to court to try and halt the climbing activity, but eventually the tribes, climbers and Park Service reached a compromise which allows for a voluntary ban on climbing during the month of June when many of the Indian religious ceremonies take place. However, since it’s only a voluntary ban, a few climbers still climb in June. 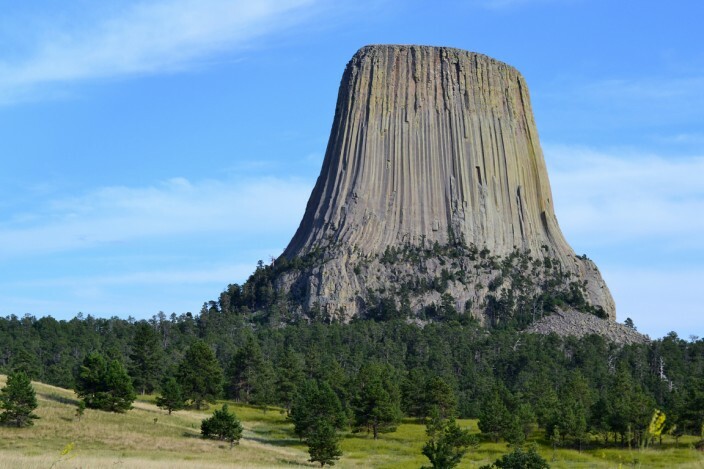 Devils Tower’s place was famously cemented in popular culture by Steven Spielberg’s immensely successful 1977 film Close Encounters of the Third Kind, with the tower acting as a major plot element and location of the film’s climactic scenes. 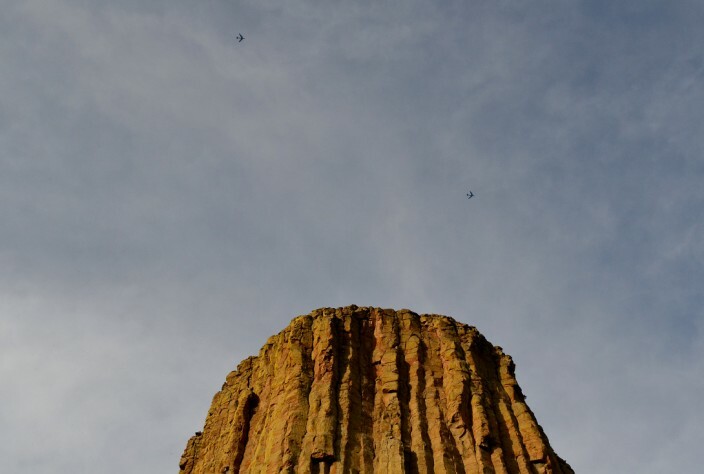 The notoriety of the film fueled a tremendous boost in interest and attendance at Devils Tower, a boon which continues to this day as the park hosts 400,000 visitors annually. 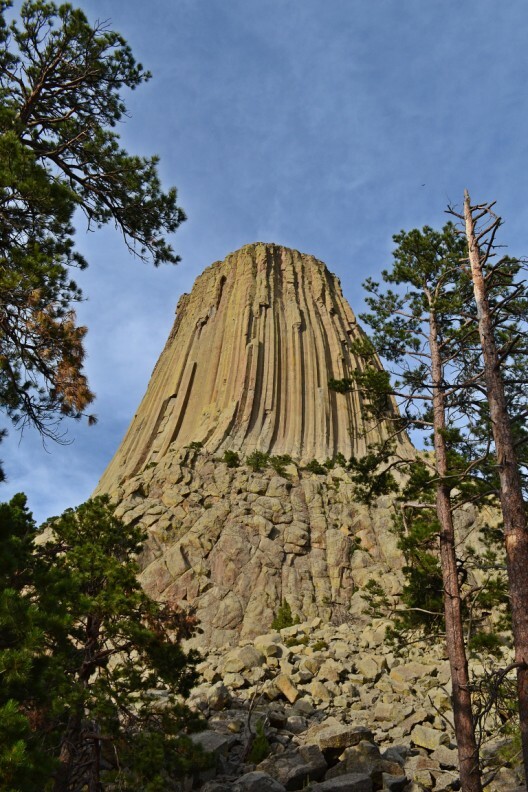 Getting to Devils Tower is not difficult if you’re already on I-90. 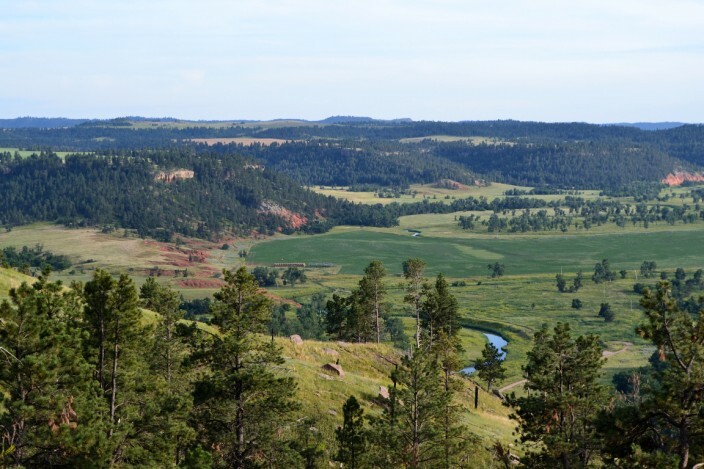 Whether you’re heading east or west, it’s about a forty-five minute drive after exiting the freeway and traveling north through beautiful rolling hills and ranchland. Inside the Park entrance you will pass one of the largest prairie dog towns I’ve ever seen. We stopped and took some pictures of the varmints who are cute enough, but don’t get too close. They are known to bite and also carry fleas infectious to humans causing various diseases including bubonic plague! They don’t tell you this when you come into the park. I didn’t know it until later that night when we read the brochures we’d collected at the park, thank you very much. Seems to me they might want to give a friendly warning to folks on entry, but hey, what’s a little plague gonna hurt? Once at the tower itself, plan to spend at least a couple of hours. We opted to walk the 1.3 mile Tower Trail which circles the tower and affords tremendous up-close views from every angle. 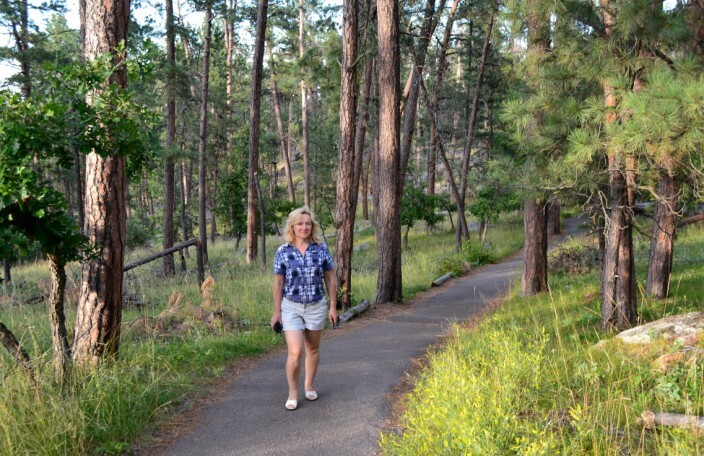 It’s an easy hike with minimal elevation gain which just about anyone can navigate, but you should still wear some decent shoes and leave the flip-flops in the car. We walked it in about an hour at a reasonable pace, stopping for photos and taking our time. 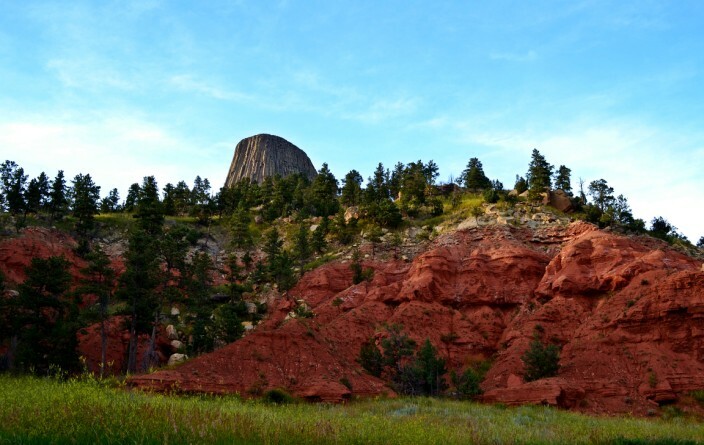 Devils Tower is a great place to visit, a true one-of-a-kind location and well worth the time and effort to hop off the interstate and experience it. And who knows, you might get lucky and have a close encounter with some alien spacecraft. 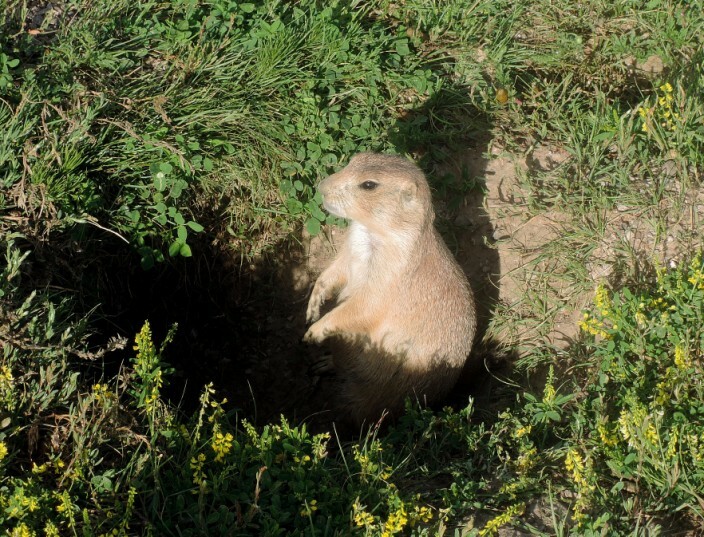 Or at least a few prairie dogs.